There are pineapples on Jimmy Irvine’s pocket square. His cufflinks? They’re pineapples. His lapel pin? A pineapple. His nostalgic ice cream of choice? A pine-lime Splice. In case you hadn’t already gathered, Irvine has strong feelings regarding pineapples. As a child, he says he “ate a pineapple a day”. 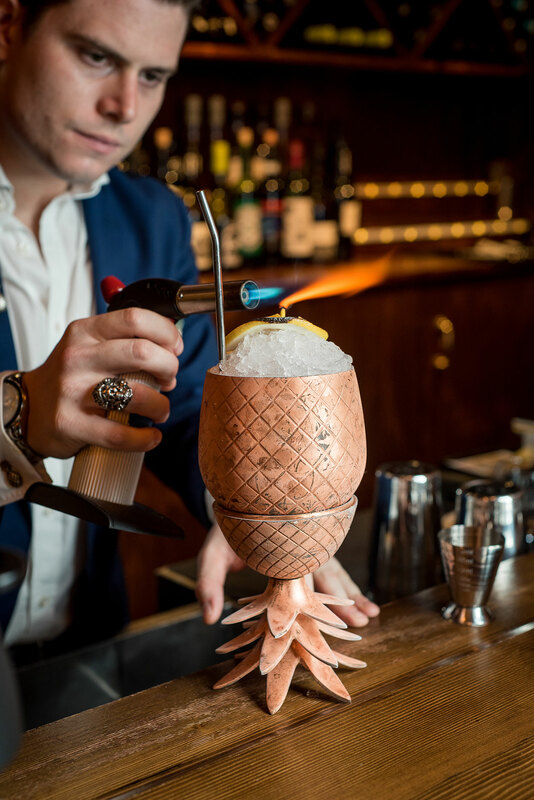 During that time, the group has grown from a coterie of esoteric watering holes (The Baxter Inn, Shady Pines Saloon, Frankie’s) into a lauded portfolio of some of Sydney’s best small bars with international credentials to boot. Last year, they opened Restaurant Hubert, a dazzling Francophile anachronism where today Irvine is holding court behind one of two dine-in bars, cultivating what he calls “a moon tan that is better than most”. Those notes have put him in good stead for almost seven years now, during which time he has both represented Australia at international competitions in Trinidad, London and Berlin (it was at Tales of the Cocktail, an annual industry summit in New Orleans, that Irvine had a fortuitous first encounter with Jason Scott and Anton Forte, co-owners of the Swillhouse Group) and witnessed the country’s small bar scene flourish. The latter part can be attributed to bartenders meeting what Irvine considers the challenge set by our kitchens not just to have “what we like to call presence” but to connect with the arsenal of expertise and technique available on the other side of the pass.